Lopez seemed to have recovered and he was coming forward again in this one. He had two problems in that he was not throwing enough punches and had no defense against the stabbing jabs from Thurman. 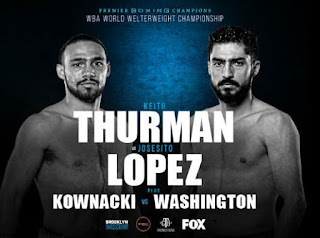 Lopez finally let his punches go but was too wild and Thurman staged a strong finish to the round. The 30-year-old Thurman retains the (real) WBA welterweight title. He had a couple of rough patches but generally was too quick and too slick for a strong and limited Lopez. He injured his right hand in the fight and this was his first fight after almost two years due to injuries so some allowances have to be made for that. It would be too much to expect that the WBA insist that Thurman and Manny Pacquiao now fight to establish one champion as the WBA once claimed was their aim. Thurman is not the kind of opponent Pacquiao would want at this stage of his career. With IBF champion Errol Spence fighting Mikey Garcia in March, WBO champion Terrence Crawford tackling Amir Khan in April and WBC champion Shawn Porter defending against Yordenis Ugas in March any unification is a way down the line. Alex Besputin is Thurman’s No 1 challenger and although talented Besputin is not yet a high profile boxer so it would be a lot of risk for very little reward and Thurman may look to fit in another voluntary defense. Californian Lopez, 34, made Thurman fight hard but never really looked a likely winner. He has already come out second in title fights against Saul Alvarez for the WBC super welter title and Andre Berto for the interim welterweight title and I can’t see him getting another title shot. Booker marches on with comprehensive points win over experienced Colombian De Angel. The southpaw hope took the first round but was then buzzed by a right in the second. He quickly recovered and fired back. 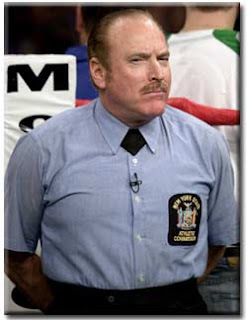 He controlled the fight from there. He rocked De Angel in the fifth and then landed a crunching body punch in the seventh that had De Angel going down on one knee. The Colombian beat the count and endured to the bell and saw out the last round. Scores 79-72 twice and 80-71 for 27-year-old Booker who was an Elite level amateur. He took silver at the 2014 US National Championships and then went one better with gold in 2015. That qualified him for the US Olympic Trials. He almost made it getting through the early rounds but losing to LeShawn Rodriguez in what was virtually the semi-final. 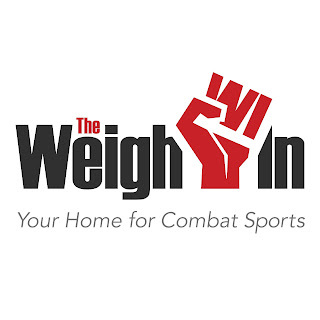 De Angel is in the “brought in to lose" category now and has won only one of his last six fights but there has been tough opposition in those fights such as Austin Trout and Immanuwel Aleem. A gift defense for the 22-year-old Mexican who was making the third defense of his title in six months. He had won 26 of his fights by KO/TKO which shows just how well Inoue takes a punch. A former Mexican amateur champion his father fought twice for the Mexican title in a brief career. His mandatory challenger is Dennis Hogan and that will be Munguia’s next fight. This result was totally predictable . Inoue had never faced let alone beaten a rated contender but was No 3 with the WBO. He owed this rating to a victory over an opponent with a 7-3 record which saw him first enter the WBO ratings in November 2017 at No 11. He did not get rated because of a win over a worthwhile opponent but because he won the WBO Asia Pacific title and in their scramble for money the WBO don’t care who you beat just make sure you pay the sanctioning fee. What a disgraceful distortion of a ratings system. Since then he had only one other fight when in April 2018 he outpointed 40-year-old Yuki Nonaka and somehow he had climbed from No 11 to No 3 in the WBO ratings. Inoue is not a member of the same family as Naoya Inoue. Takeshi won a silver medal at the Japanese championships in 2010 and so did not qualify for the 2012 Olympics. He then applied to join the Japanese police but after meeting no success there he turned to pro boxing. He lacked the craft or the experience to be competitive here. Xu wins secondary WBA title with decision over champion Rojas in hard-fought and entertaining contests where the scores do not reflect how close the fight was. At its most basic it came down to the cleaner work at distance from Xu compared to the busy inside attacks from Rojas. A close first round saw Xu already probing with his jab and Rojas looking to go to the body . Xu largely managed to keep the fight an outside fight in the second with Rojas coming forward and focusing on a body attack. Rojas started the third with some sharp jabs and following rights but Xu ended the round strongly to again make it close. The fourth was Xu's round as he worked his jab well and scored with some useful hooks. After four rounds two judges had Xu in front 40-36 with the other seeing them level at 38-38 so it looked like the close rounds were going to Xu with much of the inside work being done by Rojas overlooked. The champion worked hard inside to take the fifth and they both battled away in the sixth and seventh with Rojas getting into his stride and stepping up his work rate and Xu having more trouble keep him out. Xu took the eighth as he forced the fight hard coming forward and shooting out his jab and connecting with rights. After eight rounds one judge had it 79-73 for Xu, one had it 78-74 and third 78-75 putting Xu in a strong position. Rojas had a good ninth scoring with some eye-catching rights to the head and uppercuts inside but as they traded punches in a fast tenth Xu seemed to edge it with his jabs and straight rights. Xu also had a good eleventh rattling Rojas to set up a furious last round. That featured three minutes of nonstop exchanges with both having their moments in another close round in an exciting battle. Scores 118-110, 117-111 and 116-112 all for Xu. The last score looked to be a better reflection of the twelve rounds and the punch stats showed a very narrow gap between the punches each landed but Xu got the decision and the title. The 24-year-old “Monster” wins China’s third world title and their first with the WBA. Not bad for someone who was just 3-2 in his first 5 fights. He has scored wins over good level opposition in Kris George, Corey McConnell, Jack Asis and Nehomar Cermeno but was very much an outsider here. Great reward for his parents. When Xu showed promise as a boxer they knew he needed to go to a city to get recognition so they sold their home and moved to give him that chance. Now it is literally pay back time. Rojas won the interim WBA title with a kayo of Carlos Marrero in 2017 and was later promoted to secondary champion just before the fight with Joseph Diaz in August 2018. Rojas lost that fight but because Diaz failed to make the weight Rojas remained champion until this fight. Trujillo, Puerto Rico: Super Bantam: Luis Lebron (15-0-1) W KO 8 Josean Figueroa (I2-6-2). Lebron punches too hard for Figueroa in an all-Puerto Rican clash. Lebron used his edges in height and reach to score at distance and connected with crisp left hooks inside. 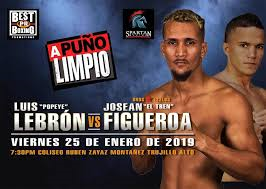 Figueroa marched forward over the next four rounds cutting down Lebron’s punching room and getting through with short hooks and uppercuts but was still taking punishment to the body and clubbing head punches from Lebron. Lebron outscored Figueroa over the fifth. Figueroa continued to advance in the sixth but at the end of the round was rocked by a series of punches. After a one-sided seventh with Figueroa’s left eye almost closed Lebron landed a right hook followed by a left and Figueroa dropped to knees and was counted out. “Popeye” Lebron gets his eighth win by KO/TKO and his ninth win in a row, Fourth loss by KO/TKO for fellow-Puerto Rican Figueroa. Cape Town, South Africa: Feather: Toto Hlebe (20-7) W PTS 10 Pfariso Neluvhulani (12-13-2). Former undefeated South African champion bantamweight champion Hlebe takes routine unanimous decision over southpaw Neluvhulani. Fighting in his home area Hlebe was a clear winner and will be looking to fight for international titles next. Neluvhulani was 2-0-1 in his last three fights. Feigenbutz too strong for Pole Opalach and wins the vacant Global Boxing Union title with fifth round stoppage. In the first round Opalach was using his longer reach to try to keep Feigenbutz out. He had some success but Feigenbutz was quicker and was able to score with his own jab and some hard rights. Opalach went on the front foot in the second but Feigenbutz was the one scoring with jabs slotting them through the Pole’s defense and connecting with well-timed rights. Feigenbutz again controlled the action in third and landed some hurtful rights to the head that shook Opalach. The Pole tried to come forward but had no answer to Feigenbutz’s jab and was also being caught by sweeping right uppercuts. Opalach was using his jab more in the fourth but was being buzzed with thumping rights and again with uppercuts. Opalach tried to punch with Feigenbutz but lacked power and Feigenbutz was also connecting with body punches from both hands and slowly breaking Opalach down. Opalach scored with a few body punches at the start of the fifth but then Feigenbutz went to work. He was landing rib bending body punches and booming rights to the head. Opalach was soaking up the punishment but after a right staggered him the referee stepped in and stopped the fight. The 23-year-old German has lost only one of his last 29 fights and is No 3 (2) with the IBF. The European Boxing Union (EBU), which goes more by strength of the opposition he has beaten than the number of wins, has him at No 12. A fight with new IBF champion Caleb Plant has to be a possibility. Feigenbutz has shown steady improvement but I am not sure he can lift himself to the next level. Opalach’s record is deceiving. Although a former WBFederation champion his opposition has been modest at best and he does not even make it into the EBU top 25. Uncasville, CN, USA: Super Light: Cletus Seldin (23-1,1ND) W KO 1 Adam Mate (28-14). Seldin blows away Hungarian Mate inside a minute. Seldin came outpunching and immediately forced Hungarian Mate into a corner and connected with shots to head and body. Mate squeezed out of the corner but Seldin followed and put him down on his hands and knees with a right to the head. Mate was up at nine and allowed to continue. Seldin jumped on him and drove him across the ring before landing with a huge right cross that put Mate face down on the canvas with the referee immediately waiving the fight over. 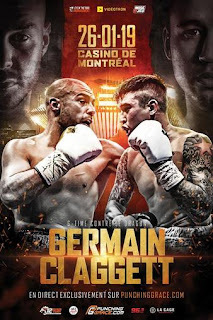 The 32-year-old “Hebrew Hammer” was unbeaten in his first 22 fights before losing to Canadian Yves Ulysse in December 2017. He was inactive until returning a win in November. Eleventh loss by KO/TKO for Hungarian Mate who has constantly been overmatched.